The Navigator 11 by Drew provides such comfort. The shoe is hardly on foot and the client comments “I can tell already – this shoe is so comfortable.” It is all about the width and the depth and the support around the back of the foot. Has moldable, dual density, contoured, polyurethane cushioned footbeds. Has a lightweight flared polyurethane outsole, increasing the stability of the shoe. 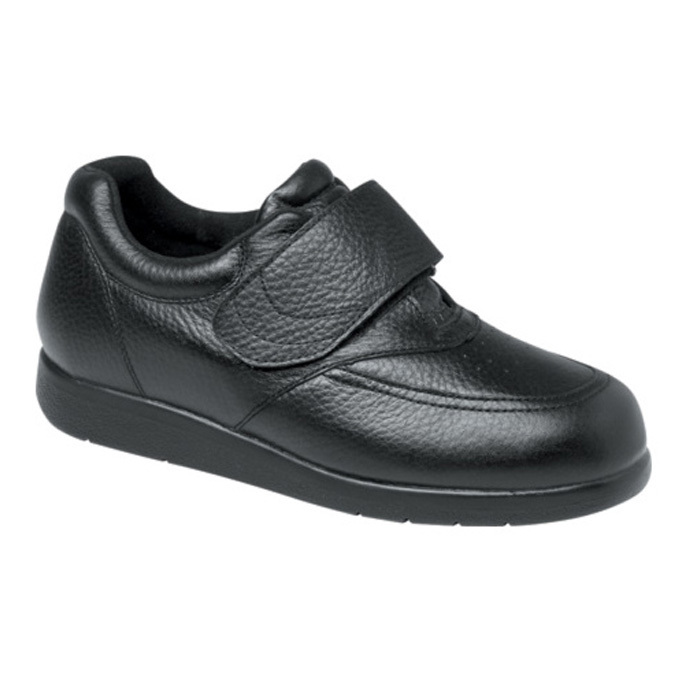 Has an extended medial heel counter providing additional support to the foot medially. Has a steel shank giving stability to the shoe. The Navigator 11 is approved for Department of Veteran Affairs clients, if eligible. 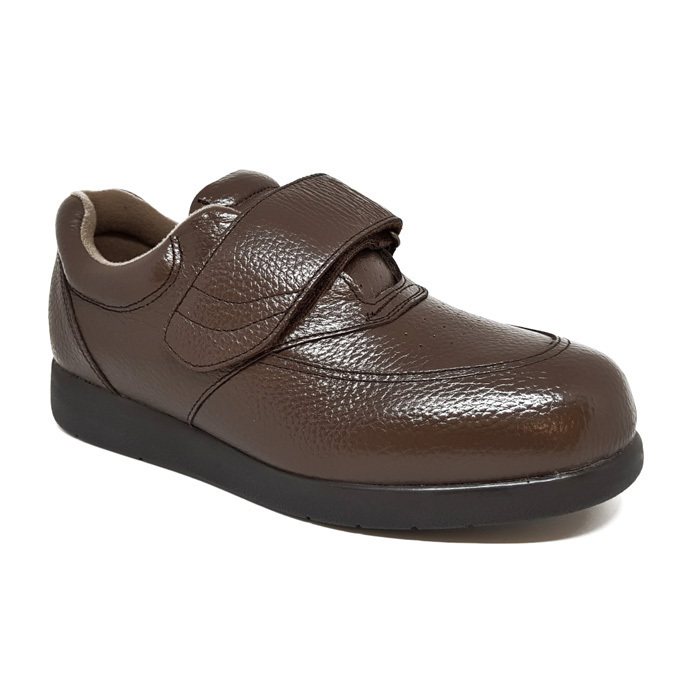 There is a velcro option of the Navigator 11 in the Walker 11 by Drew, which is also available in both black and brown. The Walker 11 also has the benefit of a rocker bottom sole. A person’s choice of footwear is influenced by foot health, personal preference and price. At Happy Feet Pedorthics, following the assessment and fitting we encourage what is best for the client’s foot health. Sometimes client choice is for a shoe which is not our first recommendation. At Happy Feet Pedorthics we advocate for best choices and we also respect client choice. The list below indicates our experience of fitting people with varying health issues in the Navigator 11 by Drew.